Well, this is a trend that just snuck up behind us without us even noticing. 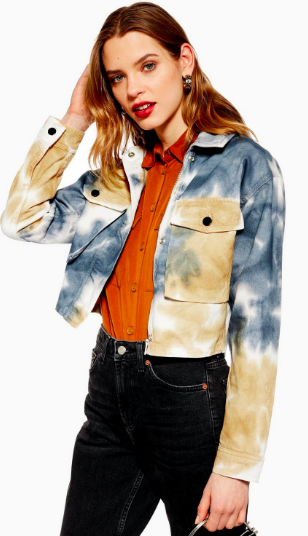 The tie-dye 'print' beloved of surf dudes and '90s teens is back and we're here for it. When I was a child, my cousin gave me a t-shirt she had tie-dyed for my eleventh birthday. It was the best present I got that year. I don't actually remember anything else I got. I wore it until it was too cold to wear t-shirts (my birthday is in August), and then I kept on wearing it under jumpers. I thought I looked so cool in it. Maybe I did! But, I couldn't wear it forever - the tie-dye trend quickly went out of style. It didn't leave the scene altogether - some people are dedicated, life-long tie-dye fans, in the same way that some people will always wear Crocs - but now it's a proper trend. And call us shallow, but we're in. 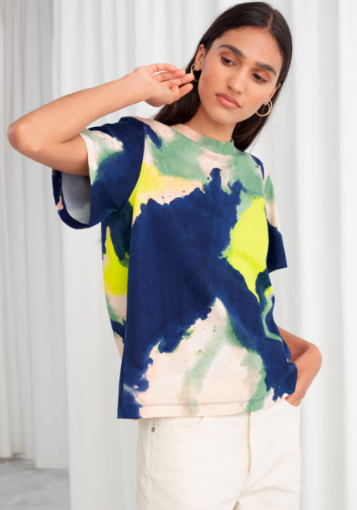 If tie-dye simply isn't your thing, here are seven new pieces under €20 for an instant style boost. Some of the pieces could almost be considered sophisticated. The Zara blouse (worn here as a dress) is one such piece, and we can't wait to wear it in the summertime. I also love the New Look blouse which is pretty even without the tie-dye, but the print gives it a little extra. Another piece I'm definitely into are the white tie-dye jeans. I really want to be that person who wears white jeans but I'm also extremely messy and clumsy. Those lil splotches will totally cover up any (inevitable) stains. Were you into the trend the first (or second or third time)?